Outdoor signs are some of the most important pieces of brand materials that your business can invest in. 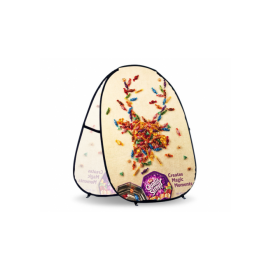 Not only can our outdoor signs be used as permanent fixtures on your storefront or commercial building, but they are also easily portable and can go with you to all of your outdoor trade show events. You don’t need any special preparation and you don’t need to spend a lot of time getting your outdoor sign set up. 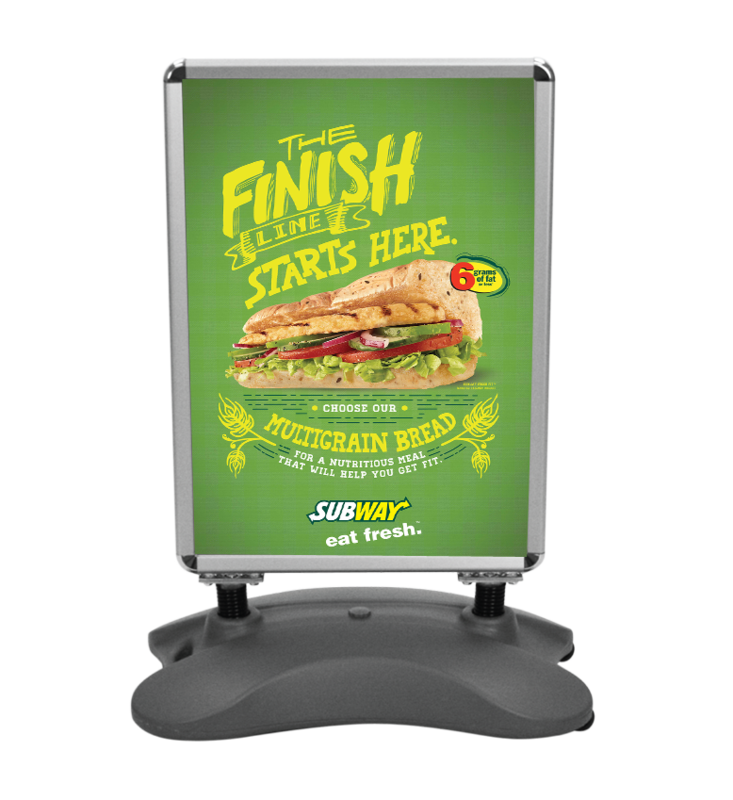 In just a few minutes, your outdoor sign can be assembled with your high-quality, custom-printed posters. All of our full-color, custom-printed posters are printed on high-quality, durable polyester. That means you won’t have to worry about your outdoor signs being ruined by the elements. When you partner with Starline Displays for your outdoor signs, you’re partnering with industry-leading experts who are ready to provide you with superior printed marketing materials. We have the outdoor signs for your exact business needs. 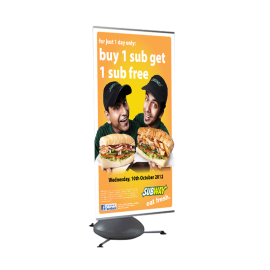 Starline Displays provides exceptional outdoor banner stands, poster stands, framed signs in multiple colors, pop-up signs, and so much more. 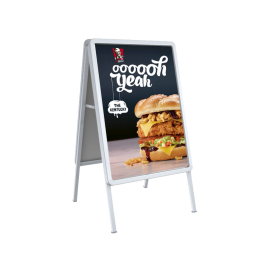 Check out our selection of outdoor signs to find just what you need for your next trade show. Your booth needs a custom-printed sign, even if you don’t have many outdoor events. 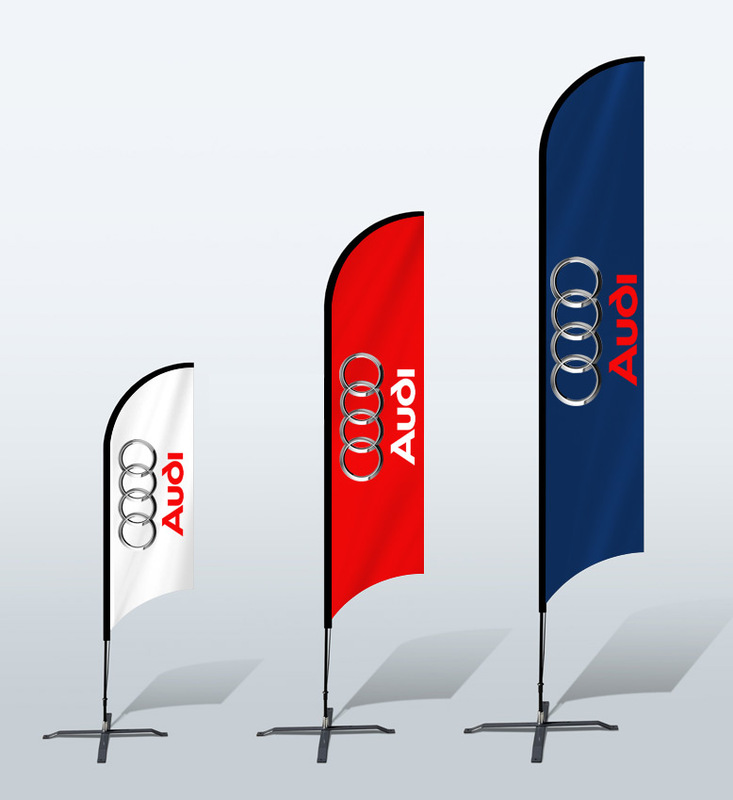 By purchasing a low-quality sign, you may not be prepared when it comes time to set up at an outdoor event. 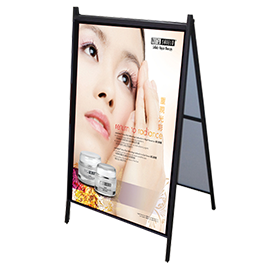 Starline Displays is committed to providing exceptional products and experiences. We aren’t satisfied until you’re satisfied. Our team of design experts is ready to help you with all of your custom branding needs, and there’s no better place to start than with a quality outdoor sign for your promotional events. Call Starline Displays today at 404-582-8881, chat with us online, or email the team at sales@starlinedisplays.com for more information on our durable outdoor signs for your next trade show.